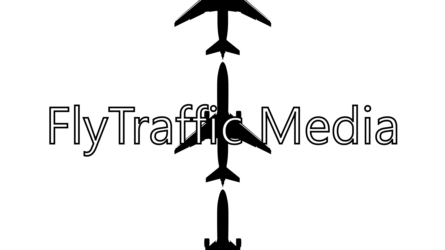 FlyTraffic Media was founded by Joel Cornett in 2012. Joel worked on a variety of projects in a variety of capacities before founding FlyTraffic Media. The first major project of FlyTraffic will be the documentary film “Further Along The Road”, a documentary about the 6 month trip that 3 of his best friends, Cameron, Joshuah, & Tyler, took across the country in desperation to find themselves and God. The goal of FlyTraffic Media is to use media to help people share their hearts, passions, stories, and callings, in an effort to connect people to each other, because when we understand people in detail, when we understand where someone is coming from, we can truly connect with them. This can, and will, be done in a variety of ways, maybe its photographs for a special event, or photos for someone else’s project, or maybe it’s helping someone record some music, make a video, or website! Whatever it is, FlyTraffic wants to partner with people to help them grow and share their passions! That being said, not all projects are going to be “religious” or have a deeper meaning to them, many of them probably will just be fun things, because fun is a part of human nature, and if we never show the fun side of ourselves, then you never get to know the whole person. We are always looking for people to help us tell other people’s stories. If you can help, please contact me! Joel grew up in a little Pennsylvania town called Landenberg, just outside of Kennett Square. Joel graduated from Kennett High School in 2006 and then went and spent a year in Gettysburg as a first year student in Gettysburg Master’s Commission. At the end of his first year Joel came out to Gap, Pennsylvania to help start University Master’s Commission with Shannon and Ashley Kann. During that time, Joel began working with Gap Community Church, volunteering with the Youth and the AV Team. In May 2009, after 2 years in University Master’s Commission, Joel began as an intern at Gap Community Church. Joel joined the GCC Leadership Team in January 2010, where he served as the Service Coordinator. In February of 2011, Joel began working at The Family Center of Gap in AV/Event/Tech Services. As that job grew, Joel eventually stepped down from Youth Ministry in June of 2011. Then in September of 2011, he left his job at Gap Community Church, but he still serves as an active volunteer of the AV Team on Sunday mornings & still helps out throughout the week as time allows.